A girl reading the newspapers. 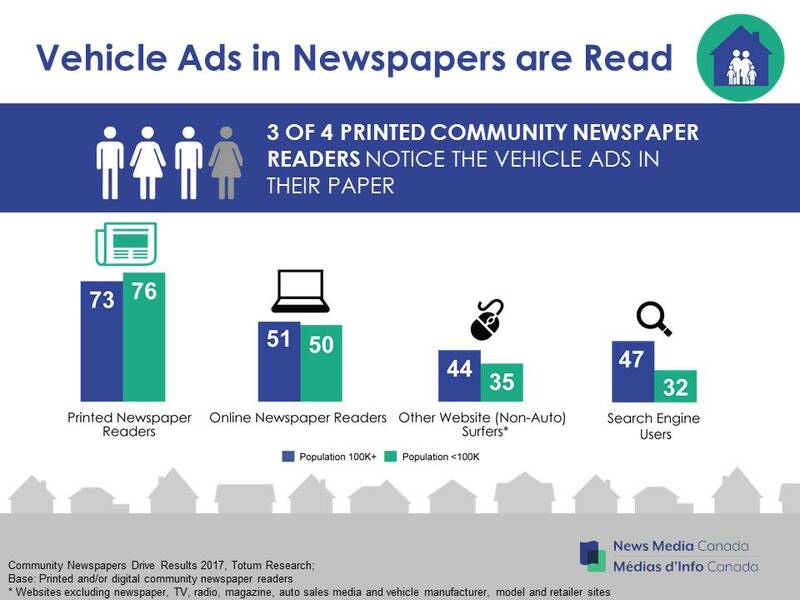 New research from News Media Canada on the role of newspapers in the automotive path-to-purchase finds that printed community newspaper readers actually notice the automotive ads in their newspapers. Adults in smaller markets (less than 100,000 population) are even more likely to notice automotive ads. 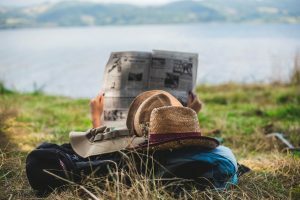 Community Newspapers Drive Results 2017 was released in April 2017 and is the results of more than 2,400 online interviews in large and small markets across Canada in December 2016.